timr gives you an easy way to track your employees’ attendance and absences. You have the freedom to configure work schedule models and then set the required working time for each day of the week. 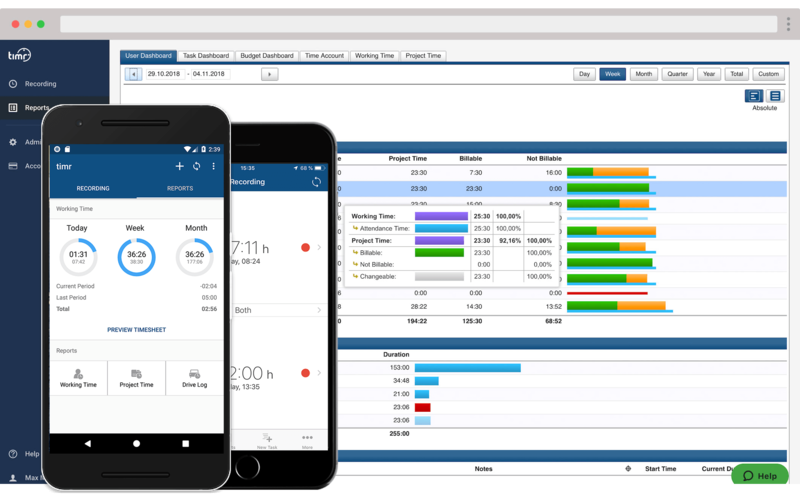 Various full-time and part-time models simplify payroll accounting. Track absences like compensatory leave, sick leave and vacation time. Set them up as separate types of work time which can then be recorded just like work hours. 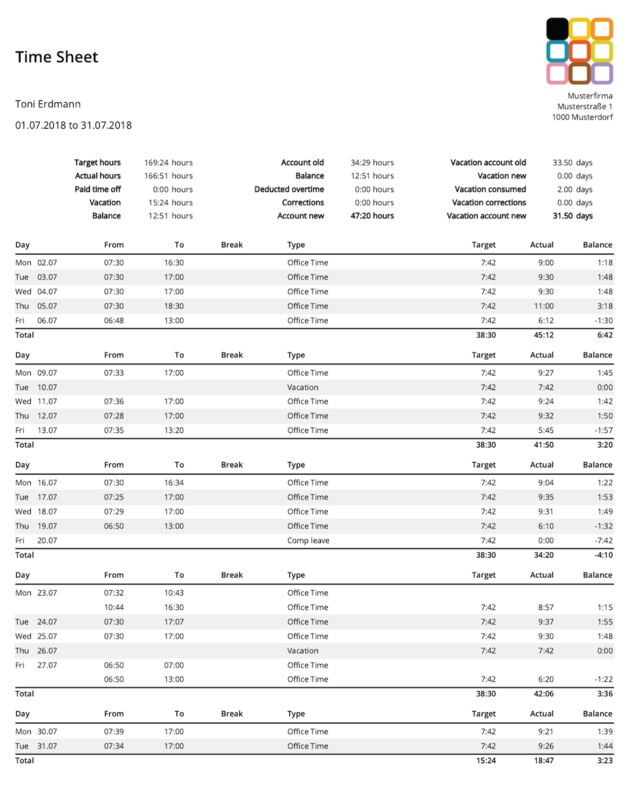 The holiday account shows how much holiday each employee has used up already and how much they still have left. At the end of each time period, timr automatically creates a time sheet for you which you can export as a handy PDF version. Check the status of everyone’s hours at any point. Daily, weekly and monthly balances make it easy to add up each employee’s hours for billing quickly. Automatically set public national holidays by choosing a country or define them manually. You can automatically generate public holidays by country, or simply set them up yourself. 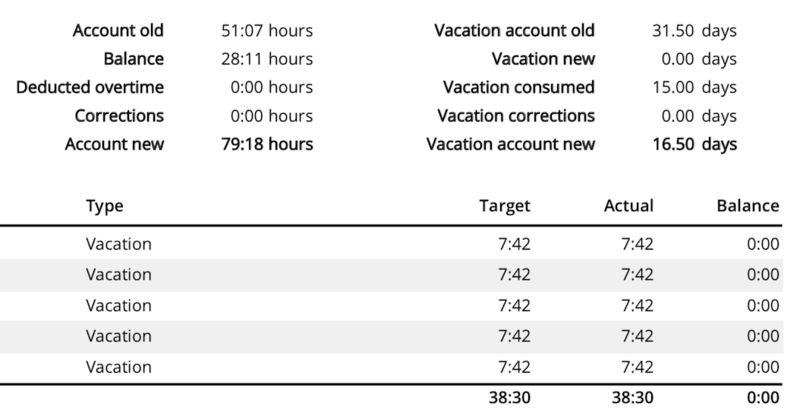 With timr, you don’t have to laboriously calculate hours and vacation time at the end of each month. The records for each employee’s hours are kept automatically and are always up to date. 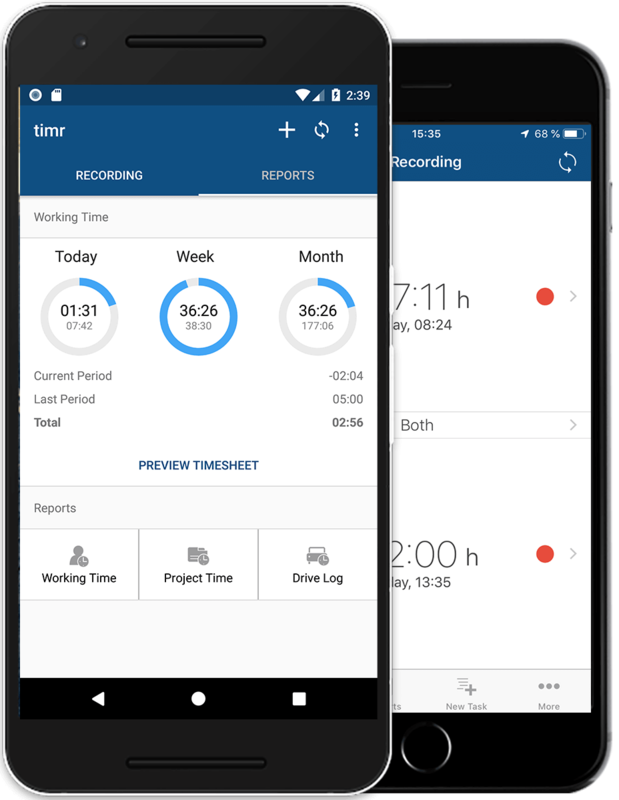 Use the timr mobile app to track time online and offline, no matter where you are. Time entries are automatically synced to the server as soon as you’re back online. It’s up to you which kind of smartphone you want to use to track employee work time. The timr app is available for iPhone, Android, BlackBerry and Windows Phone. Thanks to GPS positioning, timr tracks not just employees’ work hours but also their location if they’re working out of the office. Authorise team leaders to log times for their team members. It can save time and money if not every employee has to have a smartphone just to track their times. The dashboard in the timr web app lets you keep track of everything and everyone and helps you schedule better. Look into every employee’s hours and absences whenever you need the information for your work. It’s easy to forget to turn off time tracking at the end of a long day. To prevent timers running overnight, set up automatic reminders for employees to turn off time tracking if it’s still running after-hours. 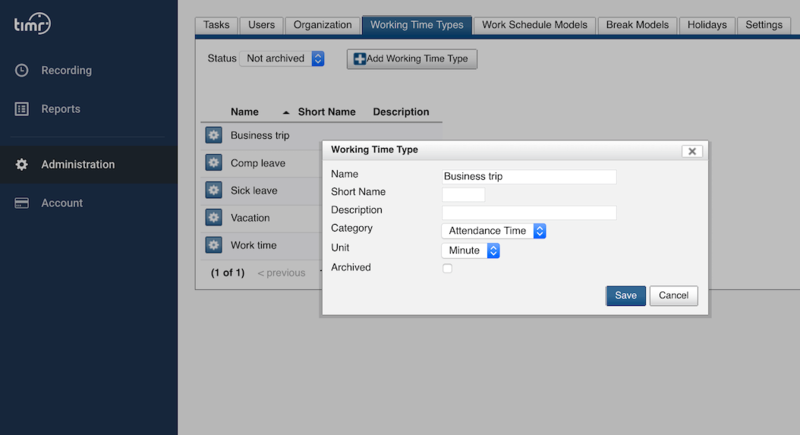 Add further information to your time tracking by creating custom fields. Use them to add expense claims, trips abroad and other important bits of information to your time tracking system. Try employee time tracking for free — no commitment! Would you like to track employee work time the easy way and from every location? Then choose timr for efficient time tracking. Give it a try now!